Music, literature, and philosophy are akin to our souls, whatever be our faith or belief or our way of looking at life. India, in the history of the world, represents a country and a people engaged in the search for truth through the realm of music, philosophy and poetry at a time when the rest of the world had not yet begun to do so. It is therefore necessary to study Indian music, philosophy, and poetry in order to understand their foundation. Linguists today agree that the Sanskrit language was the origin or mother of many languages. The origin of the science of music is also to be found in Sanskrit. It is a fact that not only art, but even science has its source in intuition. This seems to have been sometimes forgotten, but undoubtedly even the scientist is helped by intuition, although he may not always recognize the fact. Scientists who have delved deeply into their science will admit this. Intuition working in answer to the need of the mind and the body, inventing, through matter, things of daily use, and gaining knowledge of the nature and character of things, is called science. Intuition working through beauty, which is produced in the form of line and color and rhythm, is called art. Therefore, the source of both science and art is intuition. 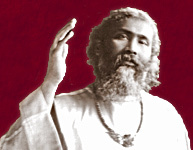 Realizing this source, the Hindus based their music on intuition, and the practice of Indian music has been a culture of stimulating intuition, and awakening the faculty of appreciating beautiful sounds and often words, and expressing itself in beautiful forms. In India, life has always begun with the soul; therefore science, art, philosophy, and mysticism were all directed to one and the same goal. And not only arts and sciences, but even professions and commerce were not without a religious view. One can imagine how in a country where even business and professional men had a spiritual outlook, the musicians life was full of religious thought. No part of the world, East or West, can really deny the divinity of music. In the first place, music is the language of the soul. And for two people of different nations or races to unite there is no better means than music. For music not only unites man to man, but man to God. Now, the question comes: when is it that music unites man with God, and how? Belief in God has two aspects. One belief in God is when a person thinks, 'Perhaps there is a God,' or 'As others believe, I believe too.' He does not know God by reason nor does he see God before him. God for him is perhaps in heaven. Whether He exists or does not exist, he does not know. And from one who has just this kind of belief, a little confusion or disappointment or injustice takes it away. It is for this reason that thousands and thousands of men who worshipped God gave up their belief in Him. There is another aspect of belief, and it is gained through the realization of God's presence, not only in the heavens, but in one's own surroundings. When a person arrives at this point, this belief becomes a living identity. To him God is not only a judge or a sustainer. To him, He is a friend who hears the cry of his soul in the solitude, and knows the best and greatest secret he has in his heart. A Friend upon whom one can always rely in good and bad experiences, and even in the hereafter. For a musician, music is the best way to unite with God. A musician with a belief in God brings to God the beauty and perfume and the color of his soul. From the metaphysical point of view there is nothing that can touch the formless except the art of music, which in itself is formless. There is another point of view: that the innermost being of man is the Akasha, which means capacity. Therefore, all that is directed from the external world to the world within can reach this realm, and music can reach it best. A third point of view is that all creation came from vibrations, which the Hindus have called Nada. In the Bible, we can find it as the Word, which came first of all. On this point all the different religions unite. Man, therefore, loves music more than anything else. Music is his nature, it has come from vibrations and he himself is vibration. There are two aspects of life: the first is that man is tuned by his surroundings, and the second is that man can tune himself in spite of his surroundings. This latter is the work of the mystic. The Sufis in the East work for years together to tune themselves. By the help of music they tune themselves to the spheres where they wish to be, as the Yogis do. Therefore, the beginning of music in India was at the time of Shiva, Lord of the Yogis. The great yogi teacher taught to the world the science of breath. Among the Sufis there was a great saint, Muinuddin Chishti of Ajmer. At his grave music is played, the Hindus and Muslims go their on pilgrimage. This shows that the religion of the knowers of truth is the religion of God. The prayer of the greatest devotee rises from his heart into the realm of music. All the various methods of bringing about calm and peace can be attained through the help of music. The music of India can be divided into four periods: the Sanskrit period, the Prakrit period, the Mogul period and the modern period. The Sanskrit period is on mystical lines. The Prakrit period is expressive of emotions of different sorts. In the Mogul period music was influenced by Persia and Arabia, and developed into modern music. Besides this, the two different races in India, the Dravidians and the Aryans, both had their own tradition of music. The Dravidians or Karnatic race produced the music of Southern India, and the Aryans or Hindus, produced the music of Northern India. The science of Indian music has come from three sources: mathematics, astrology, and psychology. We find this in Western music also, for the entire science of harmony and counterpoint is based on mathematics. In Sanskrit the science of Hindu music is called Prestara, which means mathematical arrangement of rhythm and modes. In the Indian system there are a great many modes and rhythms which are used in everyday music. The modes are called ragas, and they are grouped together in four classes. One class has seven notes, as in the natural scale of Western music. Then there are the modes of six notes, where one note of the seven-note raga is omitted. That gives quite another effect to the octave and has a different influence on the human mind. There are also ragas of five notes, omitting two notes of the scale. In China they use a scale of four notes, but not in India. Some say that the origin of the scale of four or five notes lies in the natural instinct that man shows in his discovery of instruments. The first instrument was the flute, symbolical of the human voice. It seems natural that after taking a piece of reed from the forest, man would make four holes in that reed at distances where he could place the tips of his fingers without effort, and would then make one hole below. That made the raga of five notes. It was only later that scientists arrived at the knowledge of vibrations. But this scale comes naturally when a man places his hand on the reed, and a great psychological power seems to be attached to it. It has a great influence on human nature. This shows that the power of anything deriving directly from nature is much greater than when man has made changes and alterations in order to create a new form in art. The science of astrology was based on the science of cosmic vibrations, for everything depends on vibratory conditions, including the position of the stars and planets and of individuals, nations, races and all objects. A great deal of secret power which the Hindus have found in the science of music has been derived from the science of astrology. Every note of Hindu music corresponds with a certain planet. And every note reflects a certain pitch of the animal world. In the ancient Vedas, the science of the elements, fire, water, air and ether, is to be found. These words should not be taken as meaning the same as in everyday language. The element of water for instance signifies a liquid state. Fire signifies heat or warmth. Through this science the Hindus have been able to arrange some ragas or modes to be sung or played at a certain time of day or night. Undoubtedly, those who knew the alchemy of the vibrations have worked wonders by the power of their music. After the songs have been sung for thousands of years, the race has developed such a sense of appreciation of these ragas, that even an ordinary man in the street cannot bear to hear a morning raga sung in the evening. He may not know the notes, but to his ears it sounds disagreeable. He cannot bear to hear it. It is like taking a stroll on a midsummer morning wearing an evening dress! We may say it is a matter of habit, and that is true. But at the same time, a mode that should be sung in the middle of the night loses its beautiful influence if we sing it at noon. Every planet has a certain influence, and there must be a certain mode to answer it. If this is not taken into consideration music may become a pastime. But it does not do the work for which it is designed. To an Indian, music is not an amusement or only for entertainment. It is something more than that. It answers the deepest demands of the soul. Man is not only a physical body, he has a mind too. The body hungers for food, and what generally happens is that man only ministers to his bodily needs and gives no attention to his inner existence and its demands. He experiences momentary satisfaction but then he hungers again, not knowing that the soul is the finest of man's being. And so that unconscious craving of the soul remains. In the undeveloped person that silent craving of the soul becomes something disagreeable and makes him restless or irritated. He does not feel contented with anything in life, he feels like quarrelling and fighting. In the person of fine feeling, this hunger of the soul expresses itself in depression and despair. He finds some satisfaction in love of reading, love of art. The soul feels buried in the outer, material world, and the soul feels satisfied and living when it is touched with fine vibrations. The finest matter is spirit and the grosser spirit is matter. Music, being the finest of the arts, helps the soul to rise above differences. It unites souls, because even words are not necessary. Music is beyond words. The Hindu music is unique in character, for the player and singer are given perfect freedom in expressing their soul through their art. The character of the Indian nature can be understood by the spirit of individualism. The whole education tends to individualism, to express one's self in whatever form one is capable of. Therefore, in some ways to their disadvantage, but in many ways to their advantage, they have to express their freedom. Uniformity has its advantages, but it very often paralyzes progress in art. There are two ways in life, uniformity and individualism. Uniformity has its strength, but individualism has its beauty. When one hears an artist, a singer of Hindu music, the first thing he will do is to tune his tambura, to give one chord. While he tunes his tambura he tunes his own soul, and this has such an influence on his hearers that they can wait patiently, often for a considerable time. Once he finds he is in tune with his instrument, with that chord, his soul, mind and body all seem to be one with the instrument. A person with a sensitive heart listening to his song, even a foreigner, will perceive the way he sings into that chord, the way he tunes his spirit to that chord. And by that time he has become concentrated, and by that time he has tuned himself to all who are there. Not only has he tuned the instrument, but he has felt the need of every soul in the audience and the demands of their souls, what they want at that time. Not every musician can do this. But the best can. When he synthesizes, and it all comes automatically as he begins his song, it seems that it touches every person in the audience, for it is all the answer to the demand of the souls that are sitting there. He has not made a program beforehand. He does not know what he will sing next. But each time he is inspired to sing a certain song, or to play a certain mode. He becomes an instrument of the whole cosmic system, open to all inspiration, at one with the audience, in tune with the chord of the tambura, and it is not only music, but spiritual phenomena that he gives to the people. The traditional ancient songs of India composed by great Masters have been handed down from father to son. The way music is taught is different from the Western way. It is not always written, but it is taught by imitation. The teacher sings and the pupil imitates, and all the intricacies and subtleties are learned by imitation. It is the mystical aspect of music which has been the secret of all religions. The great ones of this world such as Christ, Buddha, and others have come from time to time to be examples for the people, and to express that perfection which is the object of every soul. The secret which was hidden behind all these great religions, and in the work of these teachers, was that man should reach that utmost height which is called perfection. It is the principle which is taught from the first lesson the musician gives to his pupils. The pupil does not only imitate the teacher. He focuses his spirit upon the spirit of the teacher. He not only learns, but he inherits from his teacher. The lack we find today of spiritual awakening, the reason so many seekers after truth have not come to a satisfactory result, is that they always pursue it outwardly. They take it from a book or learn it from a teacher. There was a time in the East, and this still exists even now, when a little boy who went to a teacher to learn, had a great regard for his teacher; his respect, his attitude toward his teacher was as it would be towards a priest. Therefore, in this manner he learned to value and appreciate and respect the knowledge of the teacher. It is most wonderful to read about the lives of the great singers in India, how they imitated their teachers, and how they sometimes became even greater than their teachers. The object of Indian music is the training of the mind and the soul, for music is the best way of concentration. When you tell a person to concentrate on a certain object, the very fact of trying to concentrate makes his mind more disturbed. But music, which attracts the soul, keeps the mind concentrated. If one only knows how to appreciate it and give one's mind to it, keeping all other things away, one naturally develops the power of concentration. Besides the beauty of music, there is the tenderness, which brings life to the heart. For a person of fine feelings, of kindly thought, life in the world is very trying. It is jarring, and it sometimes has a freezing effect. It makes the heart, so to speak, frozen. In that condition one experiences depression, and the whole of life becomes distasteful. The very life, which is meant to be heaven, becomes a place of suffering. If one can focus one's heart on music, it is just like warming something that was frozen. The heart returns to its natural condition, and the rhythm regulates the beating of the heart, which helps to restore health of body, mind, and soul, and bring them to their proper tuning. The joy of life depends upon the perfect tuning of mind and body.